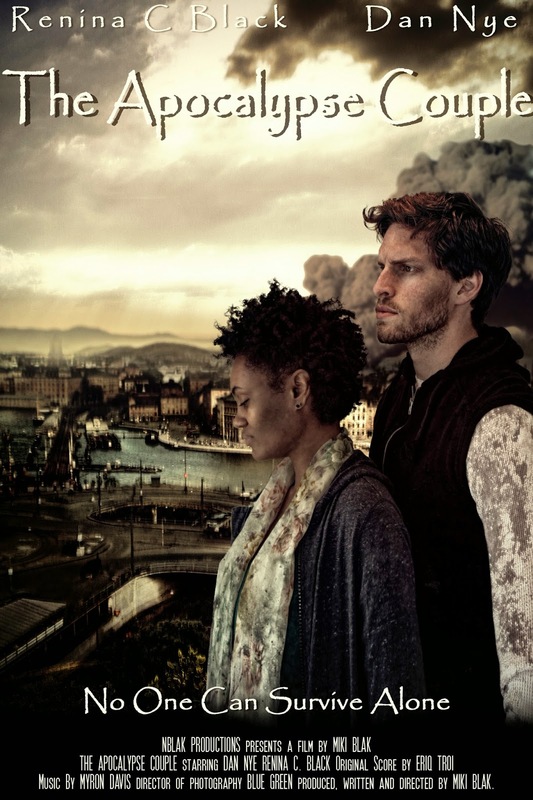 In Miki Blak's latest short film The Apocalypse Couple, a mixed race couple are trying to survive in the aftermath of the apocalypse. The man narrates, talking about how the two of them have gotten each other through their living nightmare. As we soon discover, though, the relationship is somewhat thornier than advertised, and even at the end of the world people can still get hung up on the same old problems. A small gesture at the film's end, however, offers a glimmer of hope in a still uncertain future. This is a very minimalist film, consisting of two actors in a few rooms having a conversation, but that's all that's really necessary for it to get its themes across. Running just a little under fifteen minutes, one can imagine this as an episode of some smart sci-fi/anthology series like The Twilight Zone if such programs still existed. The acting feels a bit stiff and stagy, and the hand-held camera roams a bit too much for my taste, but overall The Apocalypse Couple is worth the relatively small amount of time it asks you to invest. 2 ½ out of 4 stars. For more info, visit the short's facebook page.